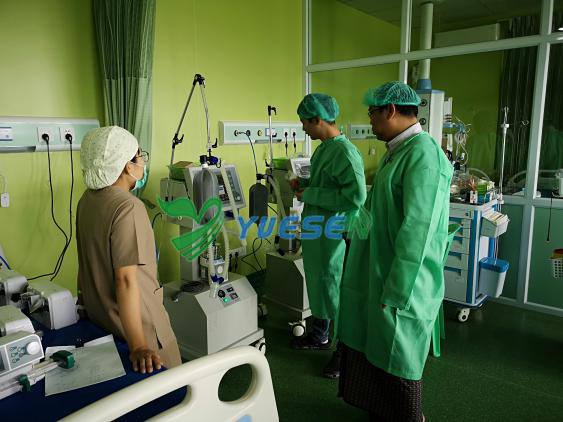 From June 1st to 3rd, our engineer was sent to our big customer's new hospital in Myanmar to train the machine operator and maintenance for the anesthesia machine and ventilator. The engineer is very professional and the customers are very satisfied with our engineer's service! At the same time, our engineer also satisfied with our customers arrangement, including the round trip tickets and the hotel. Thanks again for our client in Myanmar! Here is the pictures feedback from our customer. 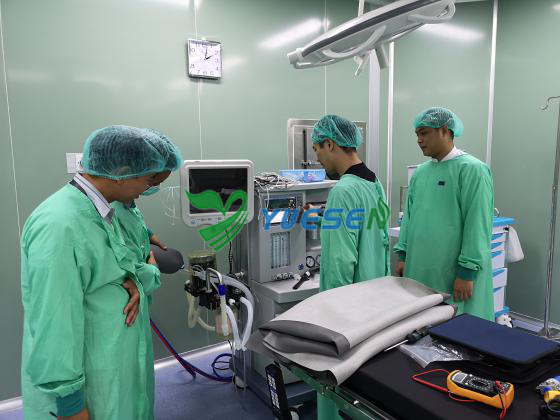 From the pictures, you can see the LED surgical lamp, patient monitor, anesthesia machine, medial ventilator, operation beds, patient beds, sugical pandant, anesthesia trolly, bedhead unit and so on, are all from our YSENMED. So we are professional in new hospital project. If you are planning open a new hospital and clinics, welcome to YSENMED. We offer one-stop shop service for your medical equipment!